What Causes Cataracts to Develop? There are few conditions that can affect vision as drastically as cataracts. Unfortunately, cataracts are extremely common. According to the American Academy of Ophthalmology, more than 22 million Americans aged 40 and older suffer from cataracts, while more than half of Americans aged 80 and older have at least one cataract. At our eye care center in Monterey, cataracts are among the most common eye conditions we treat. Although the most common cause of cataracts is simple aging, there are other factors that can cause the natural lens of the eye to become clouded over. At Monterey County Eye Associates, we have extensive experience in the diagnosis and treatment of cataracts. If you are exhibiting any of the symptoms of cataracts - notably, vision that has become hazy or cloudy - we can help you to regain outstanding vision. There are several potential causes of cataracts, all of which lead to an accumulation of protein in the lens, which leads to the clouding of vision. Eventually, if left untreated, cataracts will lead to blindness. Fortunately, the removal of the natural lens through cataract surgery and the subsequent replacement of the lens with an artificial intraocular lens, or IOL, eliminate the cloudiness and restores clear, crisp vision. Conditions that affect babies and children: Some babies are born with cataracts, while other people develop cataracts in childhood. These cataracts are often the result of infection while in the womb, injury, or conditions such as myotonic dystrophy or rubella. 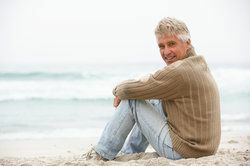 Medical conditions in adulthood: Conditions such as diabetes can contribute to the development of cataracts, as can exposure to toxins, ultraviolet light, and radiation. Trauma to the eye: When a person is struck in the eye, he or she can develop a cataract. These cataracts may heal without surgery, depending on the severity of the injury. Smoking and alcohol consumption: These lifestyle habits can result in the early development of cataracts. Aging: This is, by far, the most common cause of cataracts. The vast majority of patients we treat for cataracts suffer from age-related cataracts. These patients generally achieve outstanding vision after the removal of their clouded lenses and the placement of IOLs. It should be noted that people who suffer from cataracts have more options available to them than ever before when it comes to restoring their vision after cataract surgery. At Monterey County Eye Associates, we use state-of-the-art multifocal IOLs to replace the eyes’ natural lenses and restore excellent vision at all distances. Many of our patients achieve better vision after cataract surgery than they have had in decades. Some are even able to say goodbye to their glasses and contact lenses for good, making their cataracts a sort of blessing in disguise. If you would like to learn more about the causes of cataracts or arrange for a consultation at our eye care center, please contact Monterey County Eye Associates today. We can diagnose and treat a variety of eye conditions, including cataracts.